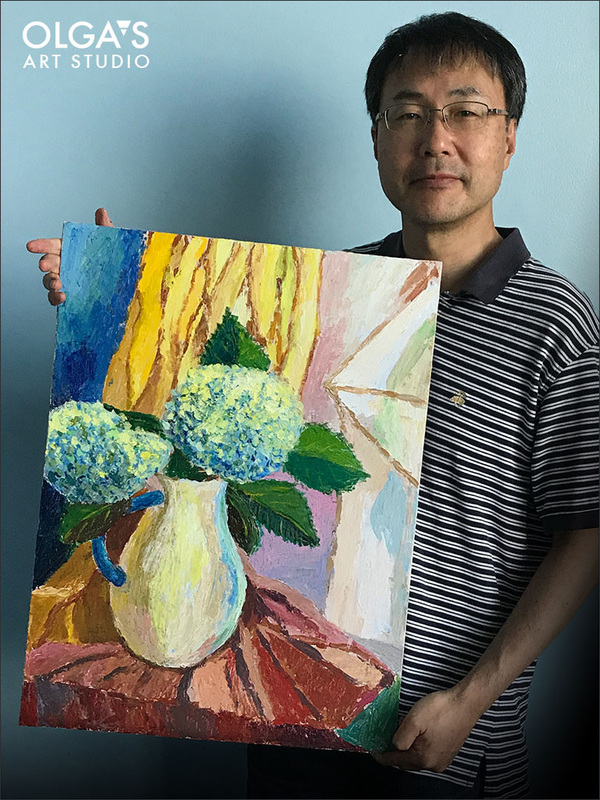 “Still-life with hydrangeas”, acrylics on canvas panel by Max. Spectacular color choices! Congratulations to Max on this wonderful piece. I am so proud of my students. This entry was posted in Acrylics, Student Paintings and tagged acrylics, flower painting, still-life on August 21, 2017 by olgaadmin.